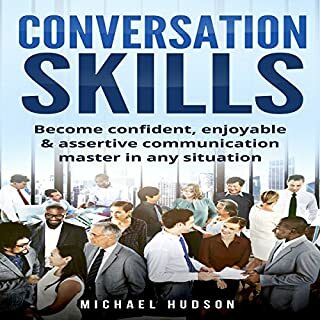 Communication Skills is the go-to audiobook for quickly learning about how effective communication can literally change your life. It will jump-start the improvement of your communication skills so that you can effectively communicate in your personal relationships and the business world. You will even learn how to communicate better with strangers. The best part about this audiobook is that it is a complete guide to effective communication. It walks you through the four traits of effective communication and teaches you how to apply them to the real-world situations. 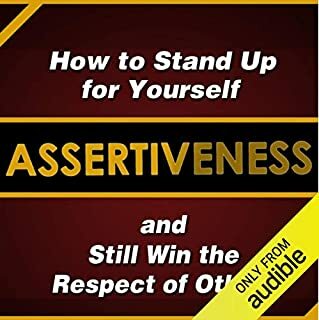 The only audiobook you will ever need for you to be assertive in any situation! It goes without saying that in today’s hypercompetitive world, only those who have the ability to be assertive without being seen as downright hostile have any hope of getting ahead. Unfortunately for many people, knowing this and acting on it are two very different things. 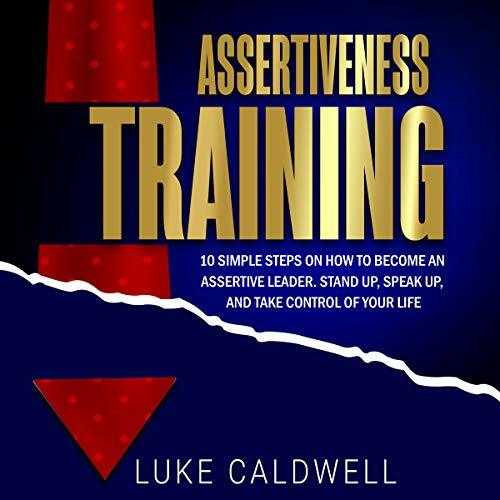 If you are interested in becoming the assertive, empowered individual you have always wanted to be, then Assertiveness Training: 10 Simple Steps How to Become an Assertive Leader, Stand Up, Speak up, and Take Control of Your Life is the audiobook for which you have been waiting. Inside you will find real, actionable steps you can take to turn yourself from a timid doormat into the assertive badass you have always dreamed of being. Being assertive is a skill, which means it can be improved like any other; all you need is the tools to help you get started. So, what are you waiting for? Take control of your future and buy this audiobook today! For those who want to be encouraged and reminded. Short, to the point, with a friendly style. There's just enough information to keep you engaged and assured you'll finish the book. The main points/ steps are clear with easy exercises. Nice refresher when entering new stages of life. 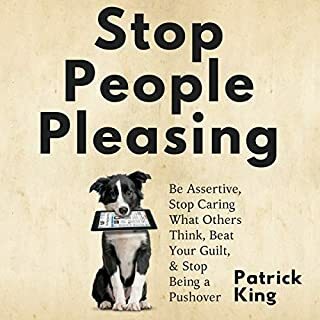 Don't pay attention to the low-star reviews, this is a great book on assertiveness. The author gives very hands-on, real-world, and matter-of-fact advice. Nothing is sugar coated and the information is very detailed and explicit. I recommend this book not just to improve assertiveness, but to become a better overall communicator. Epic stuff. I already am starting to see results and small changes in sub a short amount of time. It is shaping me for the better. I want to live and breathe this way of communication. What helped me most about this book was knowing that things I'd LIKE to say aren't wrong, and that I can stand up for myself in an appropriate way. I know that if I don't, I will bottle frustration up, causing a blowup of aggression instead of assertiveness. Great book! 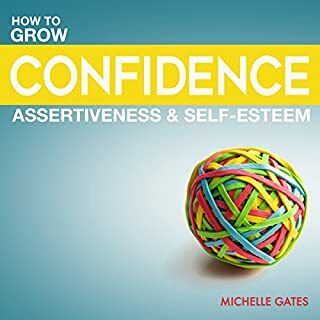 This book is an excellent listen for anyone who hasn't learned to be assertive. It's not preaching to you, it just explains how to become more assertive in your life and some of the good that can become of it. Excellent book on the topic with examples. Excellent book on the topic with examples and extensive explanation, really accessible and clear, it cover most common interactions types with clear dialogues and subsequent analysis of the issues presented and how to address them. I loved this book. It is clearly written with many examples and real world scenarios you are likely to encounter. Luke not only gives model for good assertive behavior, he also provides detail action steps of how to attain it for yourself. This book gives a wealth of information and tips on how to become an effective assertive individual. I found it very insightful and with practice know that it will help improve my communication style and overall well-being. A must listen! 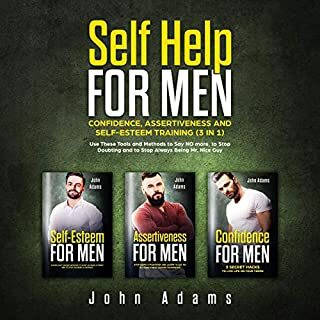 Succinct and direct, but drawing from many disciplines and areas of study, and promotes respect and affirmation of worth as the foundations for effective personal interactions. Quick but comprehensive listen. I listen this book in a couple of hours. It has great advice on how to get started in one's journey towards being a more assertive person. It explains what being assertive means and gives examples on how to put the theory in practice. I've enjoyed this book very much . This works. Yes it is a challenging path especially if you have caved-in many times in your life in situations s you wished you should have not. I recommend this to anyone who wants to free themselves from the low self esteem or behavior that generates it. This book was very relevant and hit on all the right areas. It was very informative, well-written and straight to the point, without all of the boring, never-ending stories. The best part was that it gives ways to practice and scenarios on what you may encounter. I would absolutely recommend this book! AHA!! This is the book i have been looking for!!!! This book is sooo on the point.Have been listening to the first few chapters and found some real AHA! moments. I felt that this book was written specially for me by the author. I have read countless other books but this stands out.So far I have tried out the advice, and IT WORKS!!!!. I recommend you read the timeless, olden but golden, "When I say no I feel Guilty" by Manuel J. Smith. This book and and the other one i just mentioned are the only one you need!! great!!!! This book would’ve been a 4-5 star as the content is quite useful. Unfortunately the narrator sounds like a robot. Wonderful book , very informational and helpful! 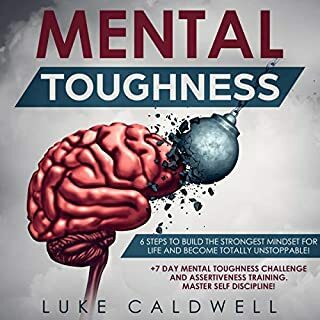 it is an awesome book, if you are listen to go through the process of improving your habits and tendencies . I like this books very much. I like that it is not one of those whining self-help books but rather very broken down with a room for thought. Loved it!